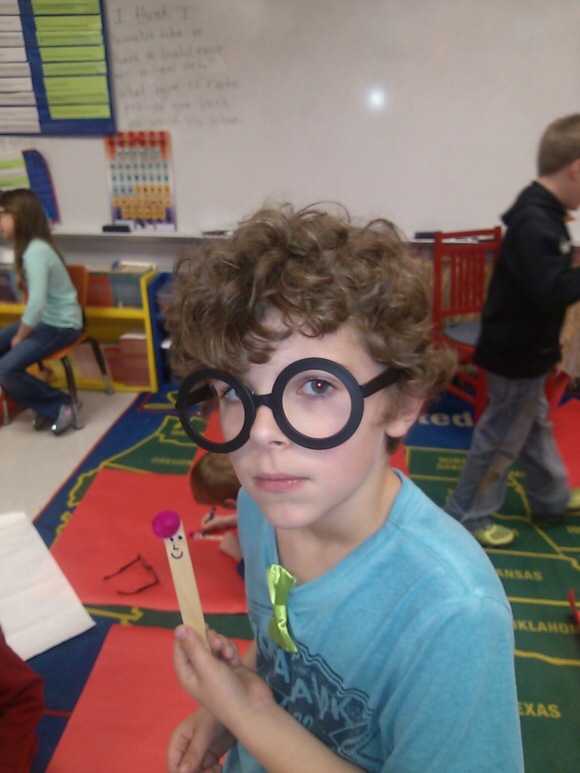 Third grade literacy classes have had some exciting events take place in the last few weeks!! 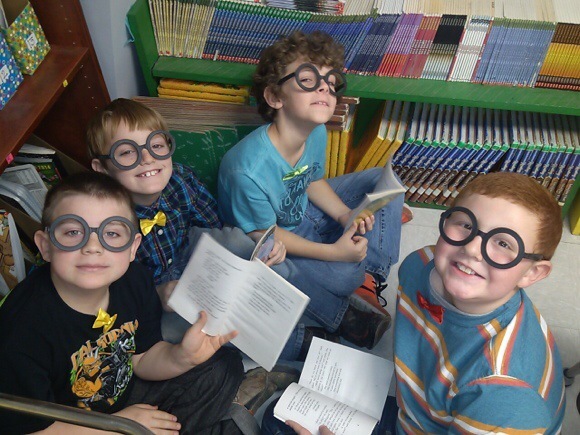 On March 9th, we celebrated reading with our first Literacy Day! 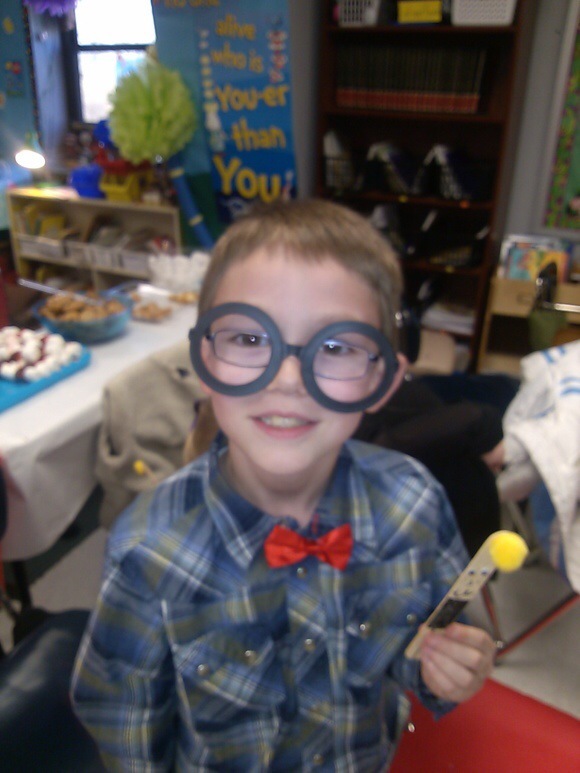 The festivities were grand with many parents and grandparents attending. 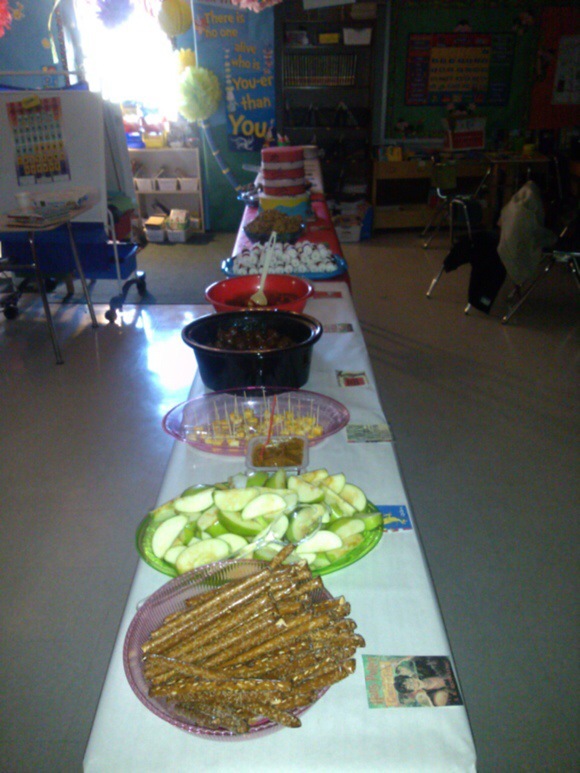 We all enjoyed a feast of food that all had a “book” theme. 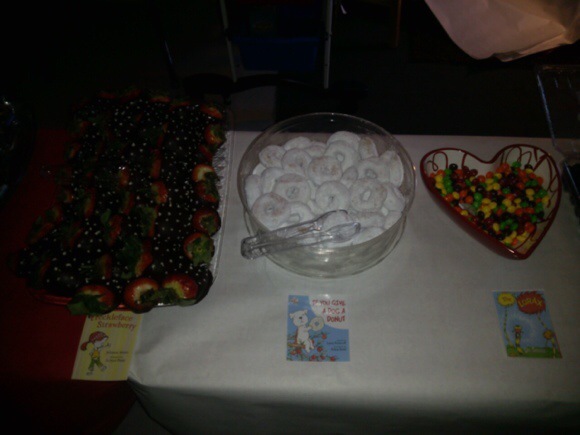 Some of the food included meatballs from Cloudy With A Chance Of Meatballs, chocolate covered strawberries (made by Bridget Carter) from Freckleface Strawberry, green eggs and ham rolls from Green Eggs And Ham, dirt pudding with gummy worms from Diary of a Worm, and much much more! 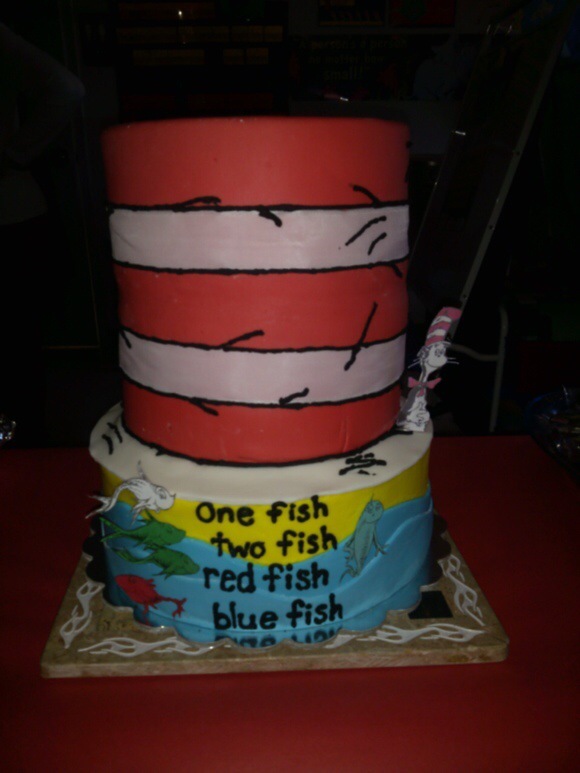 The centerpiece of the food table was a Dr. Seuss tiered cake made by Mrs. Cooper. It was amazing! 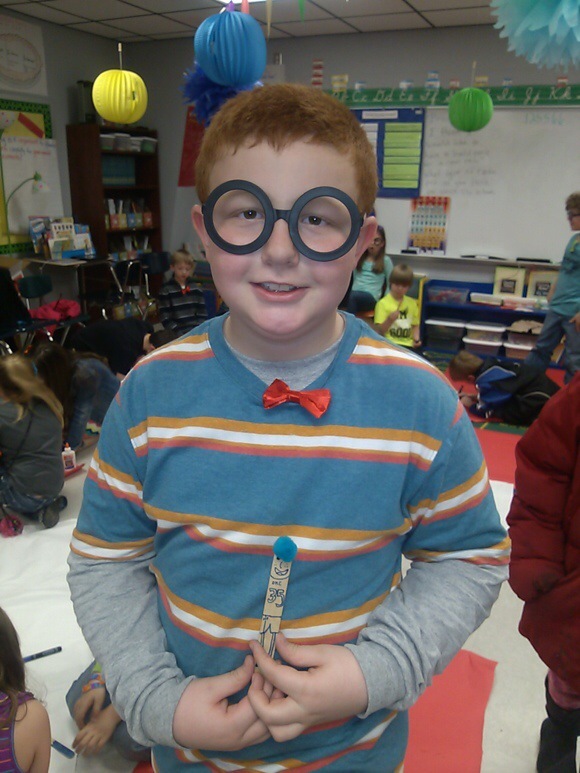 The students all dressed in their best attire, and wore bow ties, hair bows, and round glasses to go with our “bookworm” theme. Parents and teachers also played along in the fun! Many parents read aloud while the students ate. One book that was read by Mrs. Grisham was There’s a Wocket In My Pocket, by Dr. Seuss. After the read aloud, the students made their own Wockets for their pockets. They did a wonderful job! The third grade teachers want to especially thank Mrs. Cooper and Mrs. Matthews for all their help in preparing for our Literacy Day bookworm party! Also, thank you to all of the parents who read aloud and helped serve food! We could do nothing without all of our wonderful parents’ help.